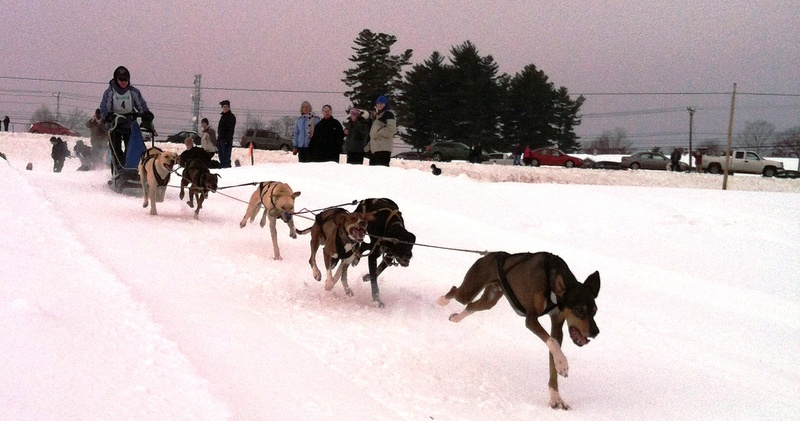 Fresh from enjoying a story about learning leadership from dog sledding, I ran across an article about the World Championship Sled Dog Derby in a neighboring town of Laconia, NH. My bucket list has always included going to a Dog Sled Race. This past weekend I achieved that goal by attending Laconia’s Derby. For the price of a cup of coffee, I got a wonderful experience and a cup of coffee. This small article chronicling my day was originally published as a eight-part Twitter story (#dogsledstories). I hope you enjoy it in all of its Twitter sparseness! It isn’t what I expected from World Cup Dog Sled Racing. Where are tents and steaming cups of cocoa? Where are the Siberian huskies, awakening from their dug-in dens? In the pointer, lab, hound mix, there is more greyhound than husky. A dog bounces in place on an invisible trampoline. Another yawns in anticipation. One, sits regal as a Pharaoh. 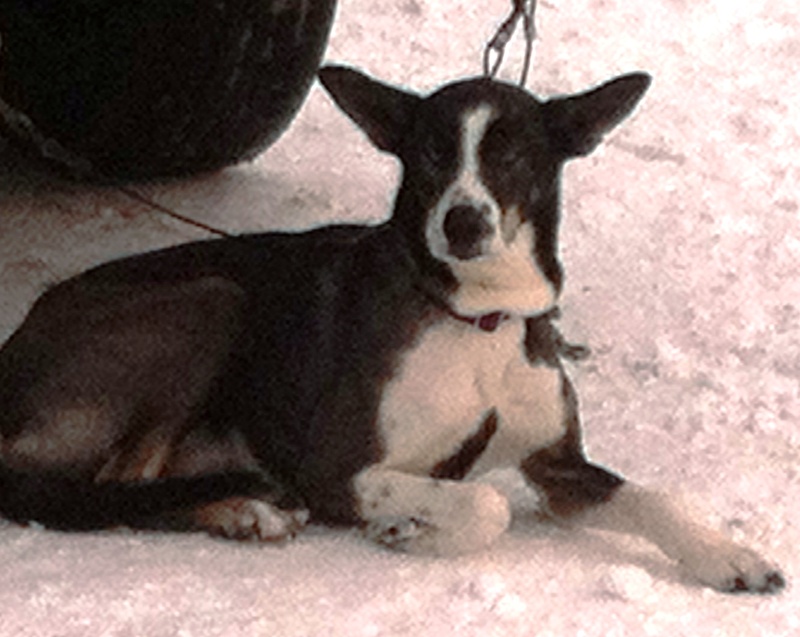 The mushers move among the dogs, treating paws to protect from ice; patting heads. A dog stretches up to for a hug; Another,experiencing adrenaline shakes, walks among the crowd accepting pats. After a countdown from five they are off, focused on running, the musher calling encouragement. Teams of diverse dogs, racing for the finish. Read more about the Laconia Derby at The Union Leader. This entry was posted in Weekly Brief and tagged Dog Sled Derby, Dog Sled Race, Dogs, Laconia, Leadership. Bookmark the permalink.